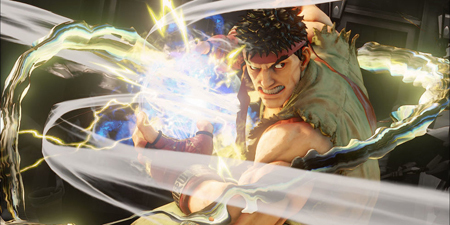 It’s bad news for Capcom and Street Fighter 5, which has completely dropped out of the all-format gaming charts. The PS4 and PC brawler debuted in second back in February, but dropped eight places the following week before eventually dropping out of the top 20 earlier this month. It now finds itself outside of the top 40 altogether, having landed at 28 last week. It’s better news for Ubisoft, which has three games in the top ten. The Division continues to dominate the gaming chart in first, followed by EA Sports UFC 2 and Far Cry Primal. FIFA 16 follows at four, Black Ops 3 charts at five and GTA 5 climbs one place to six. Star Wars: Battlefront lands at seven, LEGO Marvel’s Avengers charts at eight, while Plants vs Zombies: Garden Warfare 2 and Rainbow Six: Siege round things off at nine and ten. This entry was posted on Tuesday, March 29th, 2016 at 4:18 pm and is filed under Music News. You can follow any responses to this entry through the RSS 2.0 feed. Both comments and pings are currently closed.